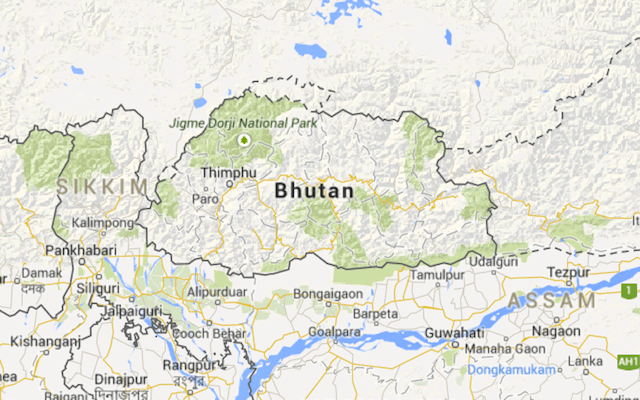 Political turbulence and separatist violence in the Indian states of Assam and West Bengal are impacting the Himalayan Kingdom of Bhutan, notes one Bhutanese analyst. Bhutan, for quite some time has been affected by the lawlessness, political turbulence and violence in its border regions with the Indian states of Assam and West Bengal. In the case of West Bengal, Bhutan has seen more than 15 recent cases of robbery of Bhutanese travelers in the Alipurduar highway stretch. It is hoped that the recent arrest of the eight robbers will relieve the problem, but that remains to be seen. There is also the problem of political agitation and demand for Gorkhaland that now encompasses all the Bengal Duar areas bordering Bhutan. The frequent strikes and disturbances caused in the recent past due to the clash of political forces is only too well known especially since North Bengal is Bhutan’s economic and trade lifeline. This political time bomb can explode anytime again with consequences for Bhutan. The recent death of an Indian maid showed how fragile our border region is. 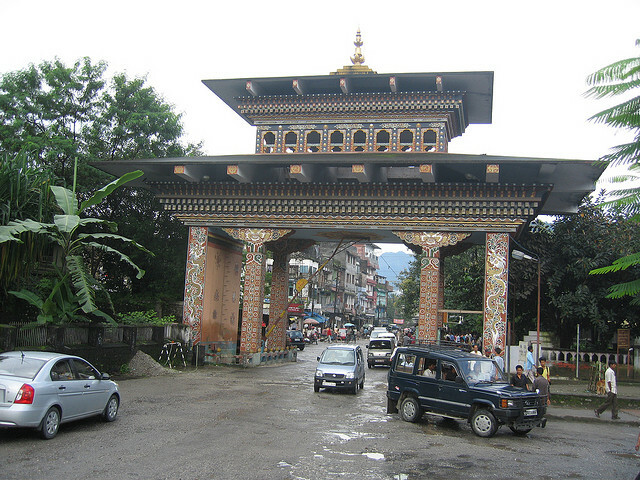 Though the death was due to dendrite overdosing established by a proper post mortem report, the violence that followed due to unsubstantiated rumors lead to the shutdown of the Samtse gate affecting traffic and trade from India and Phuentsholing. All of this is compounded by the confrontational and violent nature of domestic politics in West Bengal and particularly in the North Bengal region where strikes and bandhs are called at a moment’s notice or provocation among the different competing political groups and ethnicities. Bhutan in its 2003 operations also removed a few camps of the Kamtapur Liberation Organization (KLO) militant group that is active in North Bengal and Assam with the aim to establish a separate Kamtapur country. However, all of this pales in comparison to the problems emanating from Assam where two militant outfits National Democratic Front for Bodoland (NDFB) and United Liberation Front of Assam (ULFA) have been at odds with both the Assam government and the Indian government for decades. The 2003 All Clear Operation lead by none other the His Majesty the Fourth King cleared out all NDFB, ULFA and KLO camps considerably improving the situation for Bhutan. However, even though there are no more camps in Bhutan, the restive regions of Assam still border Bhutan affecting our transport and trade with India through frequent strikes and violence there. Even safe travel between Phuntsholing and Gelephu and Samdrup Jongkhar has been affected. A recent development which seems to be turning into a cottage industry, especially in the NDFB areas of Assam, is kidnapping. Circumstantial evidence shows that NDFB has been involved in kidnapping some Bhutanese citizens traveling in Assam or living very close to the border regions. The dramatic increase in the kidnapping of Bhutanese citizens over the last three years is a troubling sign for Bhutan. The fact that the kidnap victims are held in the Bodo areas in Assam show that the NDFB is involved and also that there are no camps in Bhutan. All of these are real problems and none of them are Bhutan’s making, but it is in fact Bhutan which is bearing the brunt of these problems in Assam and West Bengal. These issues, if not solved in the longer run, can hold back the development of the entire region including Bhutan. Bhutan, being a good and reliable friend of India has successfully done everything in its power to keep these elements outside Bhutan. It is now up to the respective state governments of Assam and West Bengal to manage their own front yard as they see fit with consultation and help from the union government in Delhi. In this troubled and strategic part of India, Bhutan has played a very positive and stabilizing role over the years with limited resources and manpower. India has also been appreciating this, but there have been some irresponsible elements in the Indian media who sitting in their chairs in faraway urban capitals put hearsay and rumors down on the paper as facts. Aggressive and regular patrolling by the Royal Bhutan Police, Royal Bhutan Army and the armed Forest Officials have not found any evidence of camps in Bhutan. The 2003 operations dealt a near death blow to NDFB, ULFA and KLO and it is only because of their camps in other countries like Myanmar and also support in their own areas in India that they have survived. This is coupled with what seems to be other domestic political problems and issues in Assam. The militant groups will be suicidal to even attempt establishing any kind of camps in Bhutan, not only due to Bhutan’s friendship with India, but more importantly because it is an issue of protecting our sovereignty and security. This article first appeared in The Bhutanese. Click here to go to the original. Previous Is Immigration Solution for Japan’s Declining Population?